This service is EXCELLANT🐾 as judged by my dog🐕 and I. Reliable, non-intrusive and friendly. TOTALLY recomend. Happy to have this service.👍. Awesome service! They do a great job. Kai and her team are great! 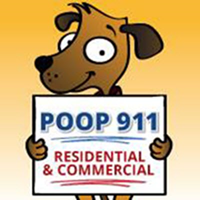 Poop911 in Reno is awesome. I work crazy hours so having one less thing to worry about is very valuable to me. Keep up the good work! I love not having to deal with dog yuck. Kai is wonderful to work with, and I couldn’t be happier with the service I receive. I am so excited by the service! It is nice to have someone taking care of the waste in my yard! On time. Professional. Quick. I highly recommend them! This is my 4th company I've used. None of the others compare to Kais service. She is the best. So thorough and great with animals! Absolutely love this company. We have moved several times and we have always had the same guy for 7 years. Never missed a day he didn’t make up.